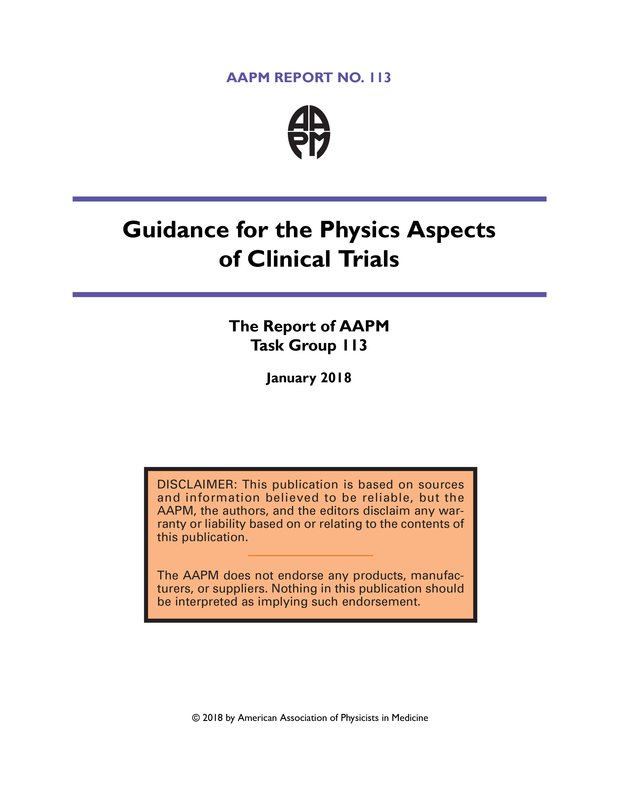 The charge of AAPM Task Group 113 is to provide guidance for the physics aspects of clinical trials to minimize variability in planning and dose delivery for external beam trials involving photons and electrons. Several studies have demonstrated the importance of protocol compliance on patient outcome. Minimizing variability for treatments at different centers improves the quality and efficiency of clinical trials. Attention is focused on areas where variability can be minimized through standardization of protocols and processes through all aspects of clinical trials. Recommendations are presented for clinical trial designers, physicists supporting clinical trials at their individual clinics, quality assurance centers, and manufacturers.